McALLEN — During a practice in the first week of the 2015-16 school year, McAllen High’s Francisco Camacho pivoted to attempt a volley. Instead of connecting with the ball, Camacho’s shin snapped across the keeper’s knee, breaking in two places. Camacho remembers being rushed to the hospital for X-rays. He was hospitalized about three days before going into surgery, then another four before being allowed home. He spent half the school year in a wheelchair, eventually graduated to a boot and started to walk normally again about six months after the injury. From there, he began easing his way back into soccer shape with runs and brief stints in summer league games. By the start of his junior season at McAllen High, he was ready to contribute off the bench as a sub. And by the end of the year, he was a full-time starter and one of the team’s most important pieces, scoring five goals in District 30-6A play and earning The Monitor’s All-Area Newcomer of the Year honors. By the time he was medically cleared to get back on the soccer field, Camacho had added about 20 pounds onto his 5-foot-1 frame, weighing about 140. McHi coach Fernando Segovia said Camacho “looked like a little bowling ball,” and Camacho said his friends jokingly nicknamed him “Pug,” a moniker that has stuck. Camacho said he practiced every day after school for three months and also worked out with the cross country team to try to lose the weight. Segovia said Camacho was 90 percent of the way back to normal by the time the season opened, and he quickly returned to full strength from there. Camacho quickly broke free of his substitute role by relentlessly applying pressure at the top of McHi’s formation. 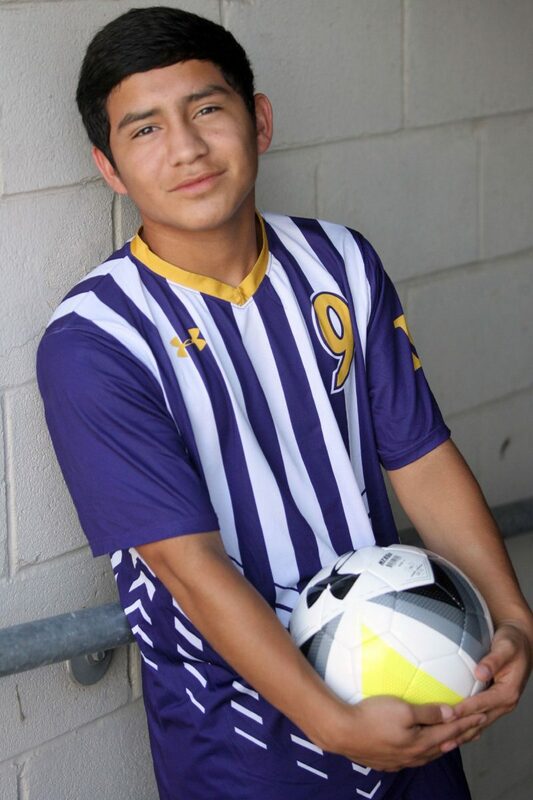 He used that aggressive, constantly attacking mentality to score the first goal in McHi’s 3-2 bi-district loss to Laredo LBJ. Throughout the year, Camacho showed no signs of the devastating injury that had delayed his varsity debut.